Today we went to a brand new restaurant The Ridge at the Ozone Leisure Park in Oxford. The Ridge specialises in grill cuisine including burgers, ribs, hot dogs, brisket, steak, etc. They have a range of meals from light bites to huge sharer platters. There’s a large selection of drinks and a gluten free menu too. 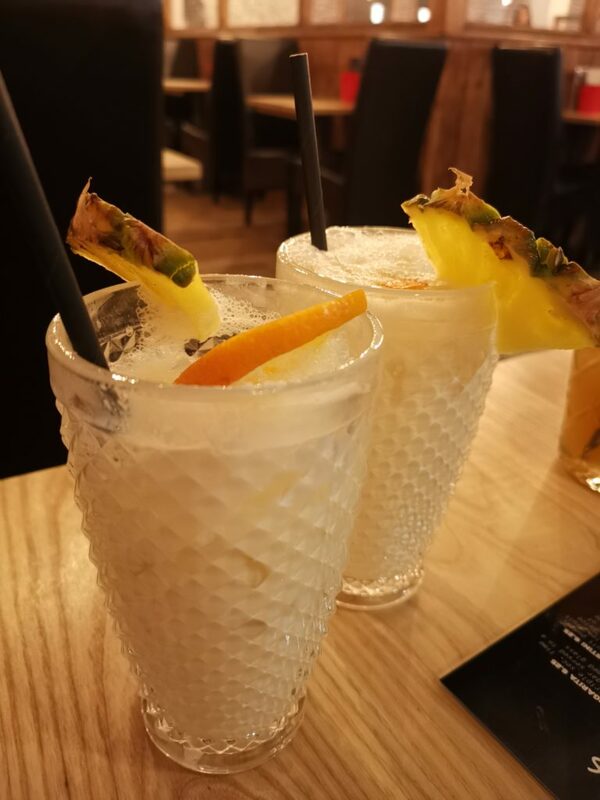 We discovered that every day 12-7pm and after 10pm its 2 for the price of 1 on cocktails and mocktails. We love cocktails and with the alcohol free versions for me to enjoy too that was our decision made. The difficult decision though was choosing which to go for – there’s so many on the list! 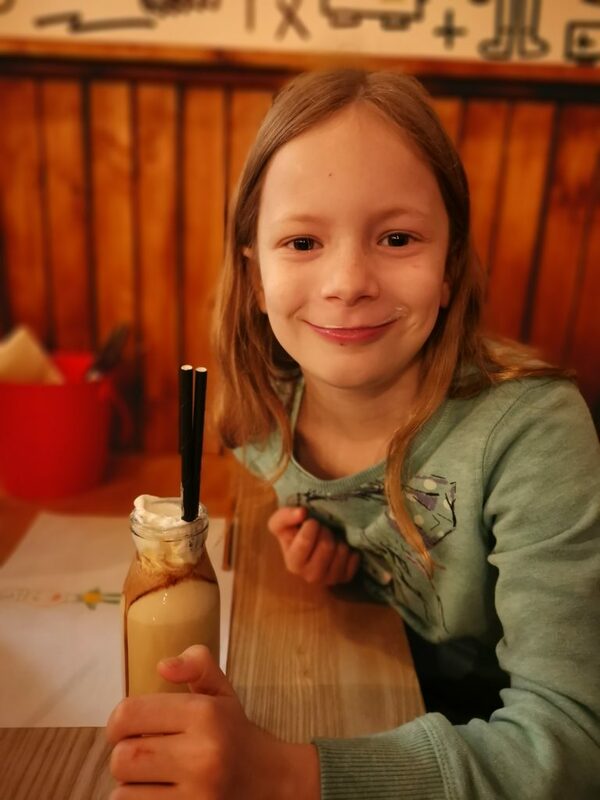 The children chose to try one of the milkshakes. We ordered them baby shakes, which were still a really good size! They were topped with whipped cream and tasted absolutely delicious! 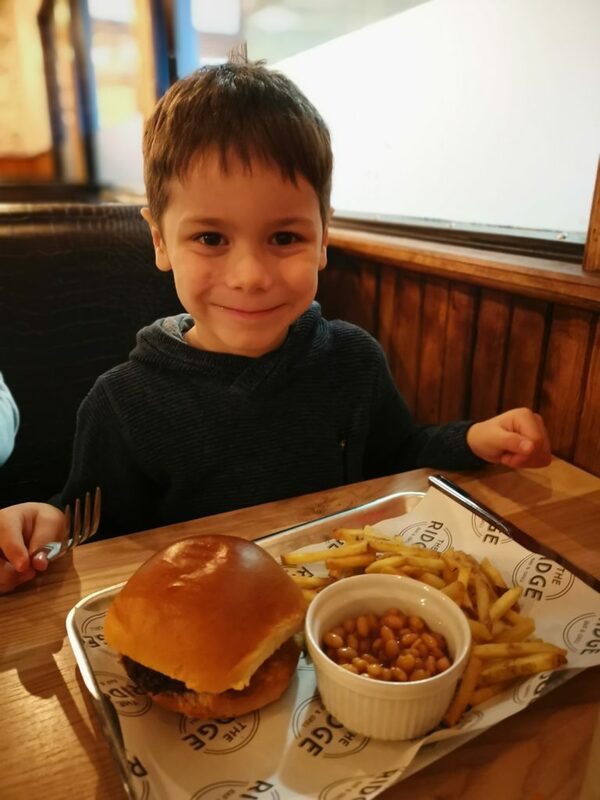 The children’s menu has a number of choices including burger, chicken nuggets and mac n cheese. It also includes a drink and ice cream all for the price of £4.95. The portion sizes are really good, in fact Lois and Cody struggled a bit to finish theirs (but had room for pudding still of course!). Danny and I couldn’t decide what to choose as there was so much on the menu we wanted to try. In the end we opted for the meat tap out platter to share. This included a half rack of ribs, beef brisket, chicken strips, pulled pork, chicken wings, fries, corn on cob, mac n cheese, salad and slaw. Basically a bit of everything! We both have good appetites but the platter defeated us and we couldn’t finish it all! It was soooooo good though. The photos really don’t do it justice with showing how big it is. 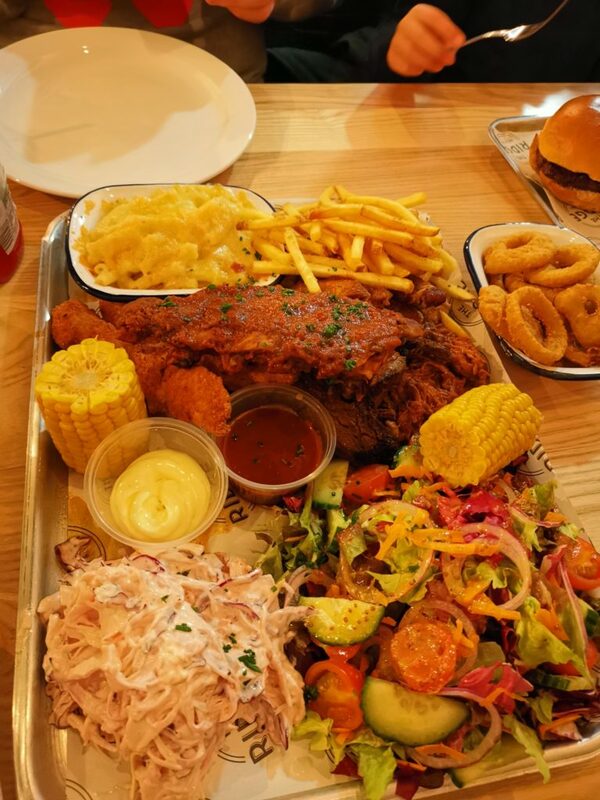 It’s served on a huge tray – the salad alone is the size of a plate! We thoroughly enjoyed our meal and highly recommend you visit. The food was really good and prices very reasonable. 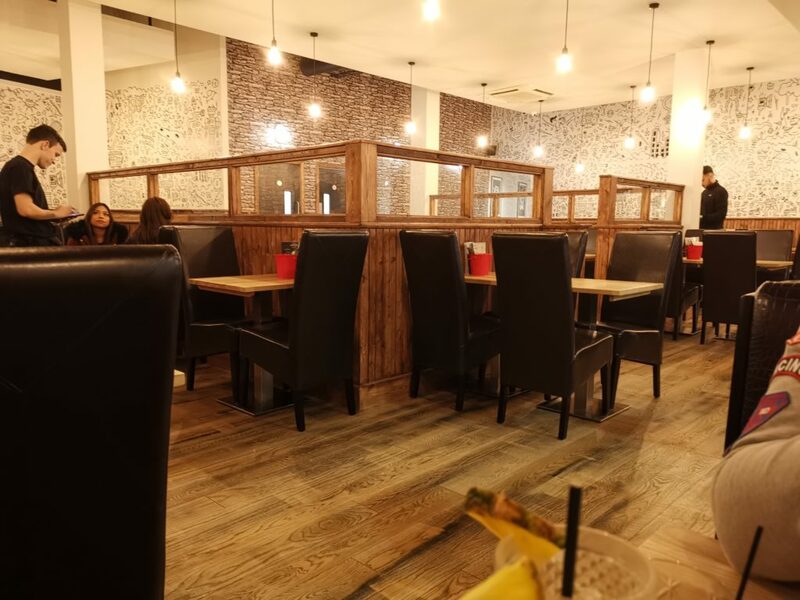 There’s a huge amount to choose from on the menu so you’ll find something to suit everyone. The staff were really friendly and nothing was too much trouble. 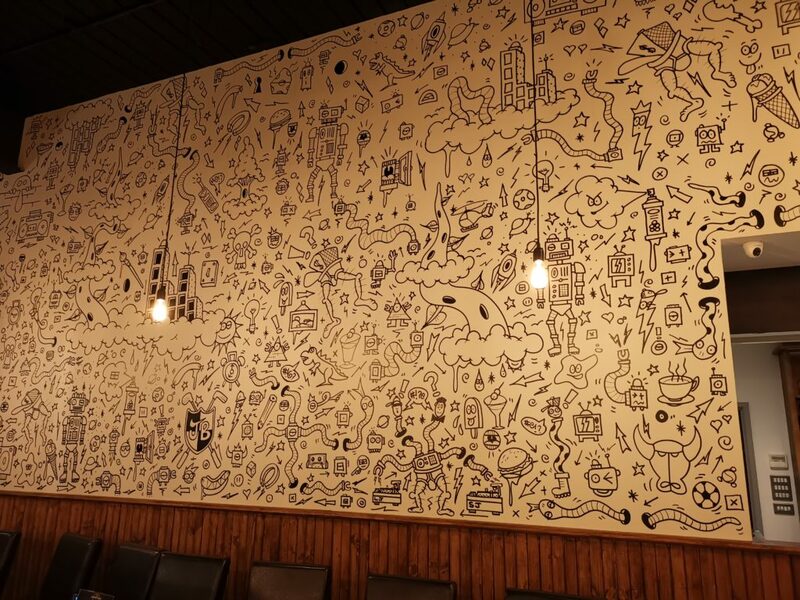 The kids had colouring sheets to keep them entertained at the table and we loved the fab drawings on the walls around the restaurant. Have a look at The Ridge website under ‘the food’ for current offers. In February half term children eat for just £1 with any adult main purchased – a perfect excuse to visit! Disclaimer: The Ridge had no involvement with our review, we simply enjoyed our visit so much we wanted to share it with you.